What’s New at Chicago Public Library? Architect and urban planner Marshall Brown moving forward in re-envisioning open spaces in neighborhoods like Washington Park. Just presented on Chicago Tonight. Razing Chicago | Chicago Tonight | WTTW. 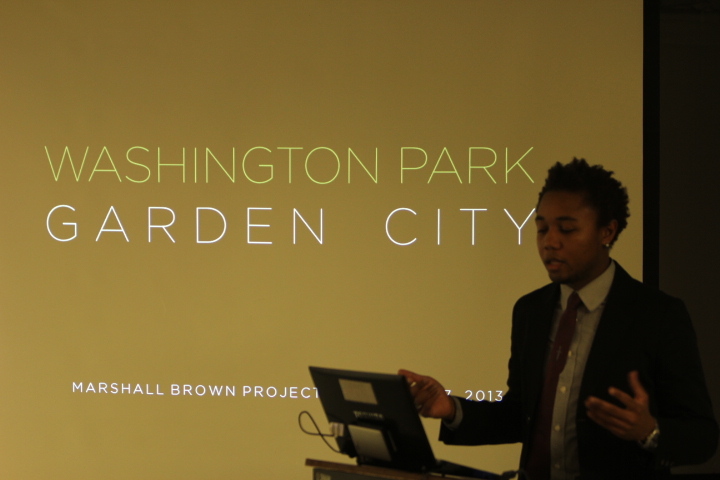 Brown presented for the Despres Lecture Series in February 2013 in “Designing Community – Washington Park: Garden City. How cool is this! And you thought libraries were only about books! They’re really about ideas! 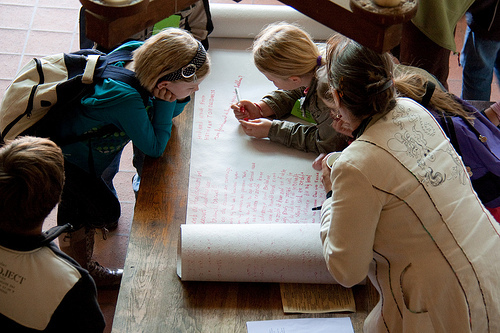 Congratulations Chicago Public Library’s Maker Lab on winning the 2013 Social Innovator’s Award! They’re hosting a Maker Share Tuesday, November 12th, 6-8 pm in the Maker Lab, 400 S. State St. Share your creations and meet others in this growing maker community. Great Evening with Paul Durica and Bill Savage! 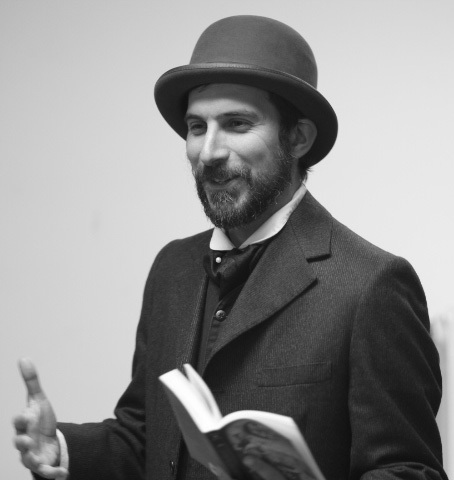 photo credit – Teffecx Co.
Paul Durica and Bill Savage led a fun and informative evening about the 1893 World’s Fair. Their reading brought to life the time and atmosphere that surrounded the opening of the fair. They read about the many entertainment businesses that arose in anticipation of the crowds that would pass through, many which closed even before the Fair ended because of a major economic depression in the country. Still, almost 28 million visited the Fair, many of whom visited the places mentioned in Chicago by Day and Night.